We've all heard of tuning cars, but tuning air conditioners? It's not just a passing fad – rather, it is something that everyone should be doing on their home AC. 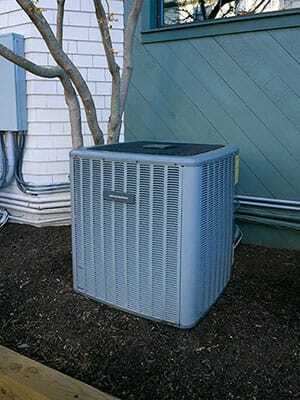 What does an AC tune up involve, anyway? You could say that it's just another word for 'maintenance', and you wouldn't be wrong. With that said, maintenance usually involves some sort of cleaning and, at most, replacing a few simple parts that have become worn down with use. A tune up can be quite a bit more complex. For starters, it requires the technician to check for everything from the thermostat to the condenser coil. The biggest issue with doing any sort of AC tune up is that there aren't always visible signs of a malfunction. This makes checking each part carefully even more important, as we're sure you don't want contractors around your home for hours on end. Our technicians will also inspect the wiring of the unit, down to the smallest and seemingly least important wire. 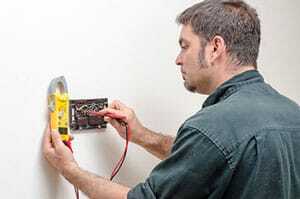 There are various ways through which these wires can get damaged, and improper installation is just one of them. Of course, we wouldn't want to get into the whole "checking for issues" business too much here – the point of a tune up is to improve an AC unit's performance as opposed to just postponing the next disaster. Saying you're going to tune up a customer's AC unit isn't always immediately welcome. After all, it sounds like the unit will be cooling harder, and more electricity translates to a larger-than-desired utility bill. In reality, it's more like the opposite: a tune up actually helps your AC spend less energy to do more work because dirt is removed and parts are replaced with newer or better ones. A single session like this can extend your air conditioner's lifespan for years. If you're regular with them, you probably won't have to worry about your AC breaking down any time soon. This way, you're going to save not only on bills but also on not having to buy a new AC. Won't take our word for it? Have your AC unit tuned up by a seasoned technician from Boerne Air Conditioning Experts and watch as your utility bills go down. We'd like to note that there aren't any obligations when you give us a holler and have us come over and soup your AC up –you might simply be wanting an explanation for some technical issue with the unit. On the other hand, should our technicians come across a problem with your AC, count on them repairing it on the spot and therefore preventing a small issue from becoming a larger one. If we could, we would make every home owner tune up his AC a minimum of once a year, if not more. But since we can't force people to do the right thing by their AC units, the best we can do is try to explain how important it is to home owner while keeping our phone line ready.